18:30 Pre-screening supper at Saramago Café, CCA, Sauchiehall Street, Glasgow. Come and meet folks who think this matters. Preferably contact us to book a place or just come along on the night and look for the daisy! 20:30 Dead Good Film screening at CCA, Sauchiehall Street, Glasgow. Book here. 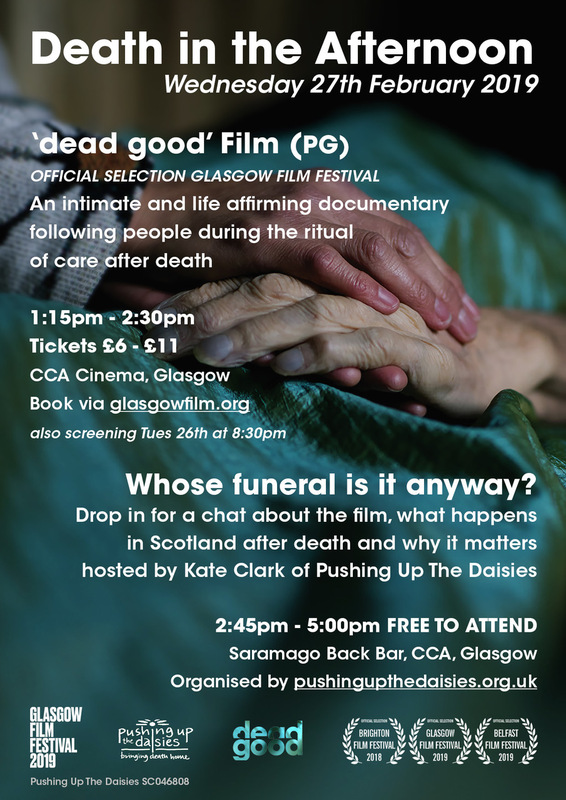 13:15 Dead Good Film screening at CCA, Sauchiehall Street, Glasgow. Book here.